Many people don’t think that cracks in the garage are serious, but those cracks usually mean that there are underlying foundation problems. The middle column between garage doors can also crack which is a big sign that the foundation is failing. You might find cracks in the slab floor of your garage. These are all signs of sinking and settlement and can be a major hassle for you. For diagnosis of this problem and repair, you can count on the foundation repair South Dakota and Wyoming professionals at Rapid Foundation Repair. We can use one or two helical piers to support and strengthen garage columns and lift them back into their original position. Helical piers are a commonly used solution for foundation repairs. They are a screw type pier that is used in lighter weight projects such as porches, concrete slabs, and garage columns. We also can use slab brackets to lift your concrete slab. These brackets are designed specifically for the support of your concrete slab. Whatever the solution, you can count on the products we use. We use only the very best in foundation repair products from Earth Contact Products. ECP is the most trusted resource for foundation repair products, and we are proud to be a preferred provider for ECP. Ignoring a sinking or settling garage for too long can lead to serious problems in the future. 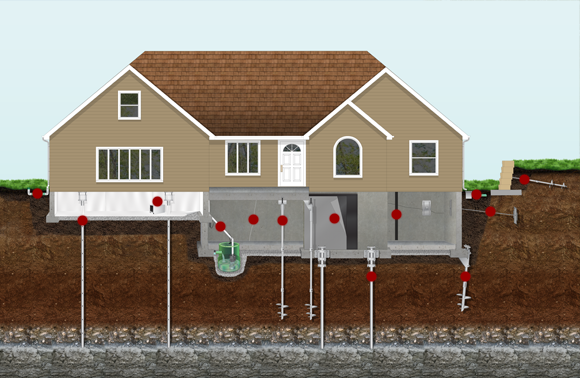 A sinking foundation can decrease the value of your home dramatically. 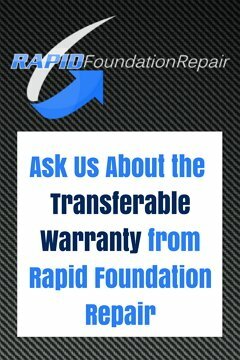 Foundation repair needs in South Dakota and Wyoming should be dealt with right away by a professional from Rapid Foundation Repair. We will provide a solution and prevent further problems from happening. Contact us today for any sinking or settling garage problems you might have. Whether it’s a concrete slab crack or a garage column crack, we can take care of the problem and assure you that your garage is stable and secure. A sinking or settling garage is detriment to the value of your home. We can provide you with an estimate for your project ahead of time. We are Better Business Bureau accredited and have a proven track record in the field of garage settlement repair. Give us a call today and protect your investment in your home.